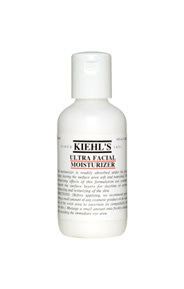 We now have a total of 6 Kiehl's outlets in Singpore! We are still expanding! If you haven't heard or try any of our product before, do pop by any of the following outlet to get your compliementary sample of Kiehl's Product and also have a personalised consultation with our friendly staffs. You may also catch Kiehl's Boys working at Tangs or Raffles City this weekend! Come down and take a polaroid with them and they will be delighted to see you too! This week event is basically to promote 3 basic Kiehl's product that everyone may need to have good skin (Cleanse, Tone and Moisturize). And that is why it's call "Start Here". 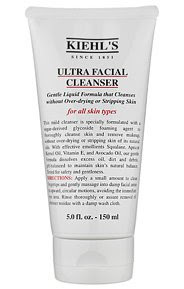 This mild cleanser is specially formulated with a sugar-derived glycoside foaming agent to thoroughly cleanse skin and remove makeup, without over-drying or stripping skin of its natural oils. With effective emollients Squalane, Apricot Kernel Oil, Vitamin E, and Avocado Oil, our gentle formula dissolves excess oil, dirt, and debris. PH-balanced to maintain skin's natural balance. Tested for safety and gentleness. 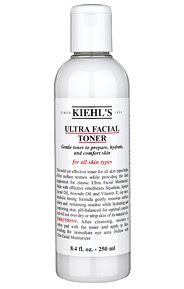 This mild yet effective toner for all skin types helps refine surface texture while providing the ideal preparation for classic Ultra Facial Moisturizer. Made with effective emollients Squalane, Apricot Kernel Oil, Avocado Oil, and Vitamin E, our non-alcoholic toning formula gently removes surface debris and remaning residue while hydrating and comforting skin. PH balanced for optimal comfort and will not over-dry or strip the skin of its natural oils. This moisturizer is readily absorbed under the facial skin, leaving the surface area soft and nurtured. The moisturizing effects of this formulation are continued beneath the surface layers for daytime or anytime moisturizing and texturizing of the skin. So what you waiting for???? Come down and find us at Tangs and Raffles City with our event on going between 15th-17th August 2008!! !